Pop Watches, LLC. (Pop Watch), spent the weekend seeing stars in Hollywood, CA. Pop Watches participated in an off-site celebrity gifting suite in celebration of the Academy Awards and met with over 90 celebrities, including Gil Birmingham and Booboo Stewart, actors in The Twilight Saga. Both actors, who are known for being part of the Quileute Wolf-Pack, were photographed wearing Pop Watches and were very enthusiastic in sharing their new-found love for the product. Pop Watches, LLC. (Pop Watch), spent the weekend seeing stars in Hollywood, CA. 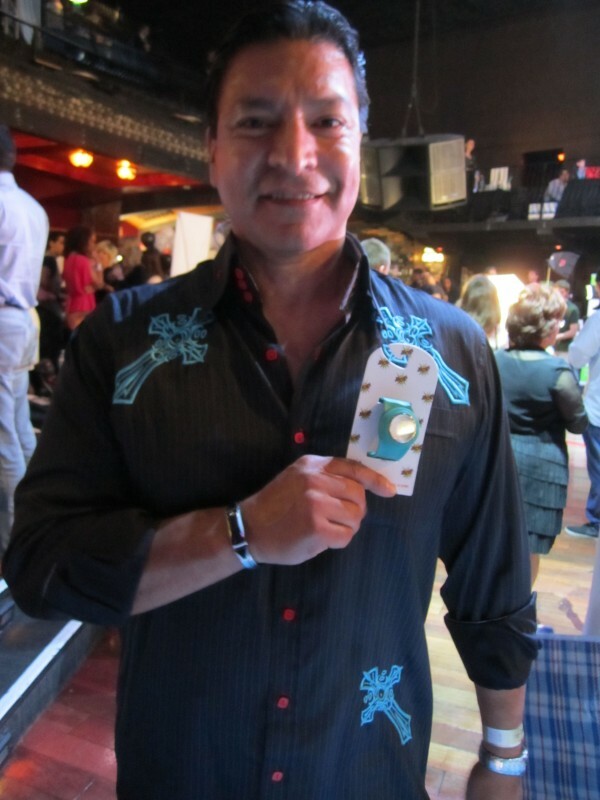 Pop Watches participated in an off-site celebrity gifting suite in celebration of the Academy Awards and met with over 90 celebrities, including Gil Birmingham and Booboo Stewart, actors in The Twilight Saga. Both actors, who are known for being part of the Quileute Wolf-Pack, were photographed wearing Pop Watches and were very enthusiastic in sharing their new-found love for the product and slap watch concept. For the 'Twi-hards'” that are dying to know, Birmingham picked up the Pop Watches Teal Kicks slap watch and Stewart is now rocking the Blue Backpack. When the product was sampled on both actors, Birmingham and Stewart were excited to learn of this up and coming product and happy to 'pop' the watches on. At the Gifting Suite, the 'Wolf-Pack' members were also given a sneak-peek of Pop Watches' future slap watch collections. Both signed up for the mailing list to be the first to find out when the new slap watch product, which is under-wrap's for the moment, will arrive. Birmingham and Stewart were eager to say that what they loved most about the watch was the idea of interchanging the slap watch between all the bands they loved. The hardest part for the celebs was choosing a color. Pop Watches' encounter with both celebrities was featured in the ever powerful blog – http://www.breakingdawnmovie.org. This blog receives millions of Twi-hard views a day and dedicates itself to those who want to stay updated on what their favorite Vampires or Wolves are up to and wearing. Due to the excitement and buzz coming from the website, Pop watches is offering a promotion for all Twilight fans that purchase a discount when buying a watch. By adding the promotional code “TWILIGHTWATCH” at check out, customers will receive 50% off the entire order! This discount code will be valid until March 11, 2012. About Pop Watches, LLC. - Pop Watches is a company that produces silicone slap watches that come in several colored bands separate from the watch itself. By creating a movement that is interchangeable with the colorful slap-band, customers of Pop Watches can purchase multiple bands without having to buy a new watch for every color. For more information on Pop Watches visit: online - http://www.popwatches.com, Facebook - search /PopWatches or Twitter - @PopWatches.